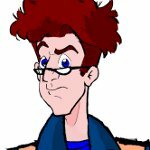 For awhile now its been debated if the first air times for The Real Ghostbusters and Slimer! were correct. After talking about this with Paul Rudoff and a few others, it is safe to say that from Season 5 (Abc season 4) -Season 7 (Abc season 6) that the air times are not right at all. Same goes for Slimer! show. I want to thank Fritz for his recent support of this project. I'd known the dates in the log I'd started keeping in 1988 didn't match TV.com, especially in the 1989 season, but other than using "my" order in the Timeline, and a discussion in PMs with Miss Janine (who'd noticed the same thing I had) decided not to make any fuss about it. I mean, who's gonna believe a nerd with notes over TV.com, right? Well, obviously, now that ozzy and mrmichaelt brought it up, it was time to talk. This is what my notes said. I didn't keep track of the Slimer cartoons because I thought they sucked and hated them. 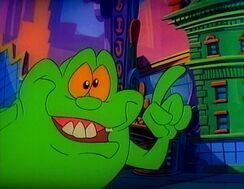 If a block doesn't add up to a whole hour, there were Slimer cartoons and/or reruns involved. 910: "The Joke's On Ray"
909: "Trancendental Tourist", "Something's Going Around"
916: "Trading Faces", "Elementary, My Dear Winston"
923: "Slimer's Curse", "Partners In Slime"
930: "Til Death Do Us Part"
1007: "Three Men And An Egon"
1021: "If I Were A Witch Man"
1111: "Surely You Joust", "Future Tense"
1202: "The Ghostbusters Live From Al Capone's Tomb"
1209: "Revenge of the Ghost Master"
1223: "The Ransom of Greenspud"
908: "Janine, You've Changed", "You Can't Teach An Old Ghost New Tricks"
915: "The Haunting of Heck House", "Ghostworld"
922: "Mean Green Teen Machine", "Spacebusters"
1006: "Russian About", "The Slob"
1020: "Afterlife In the Fast Lane"
1027: "Guess What's Coming To Dinner?" 907: "The Treasure of the Sierra Tamale"
921: "Attack Of The B-Movie Monsters"
1005: "20,000 Leagues Under The Street"